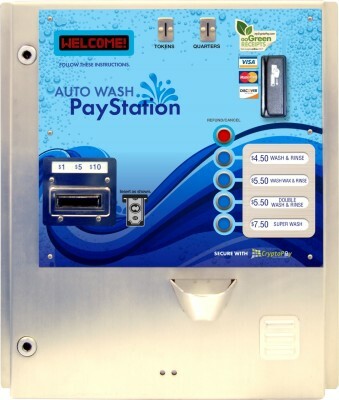 The new IQ 2.0 Soft Touch Genius Series, In-bay Automatic, is yet another innovation from D&S Car Wash Equipment Company. 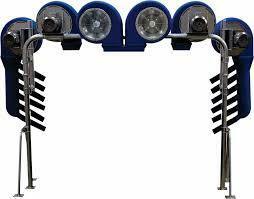 The state-of-the-art 3D profiling and mapping system is the first of its kind in the industry. A three-dimensional scan captures each vehicle’s unique shape while “mapping” details like the luggage rack and spoilers. 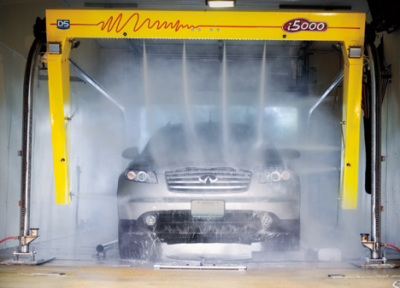 This technology provides a custom wash for everything from MINI Coopers, to Duallys, to full-sized pickup trucks. Thus, the “3D” scan produces a smarter, more efficient and safer wash! 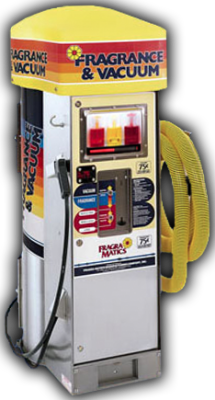 Lightweight and nimble, this machine delivers on performance while consuming less power, water and chemicals than other friction automatics on the market. 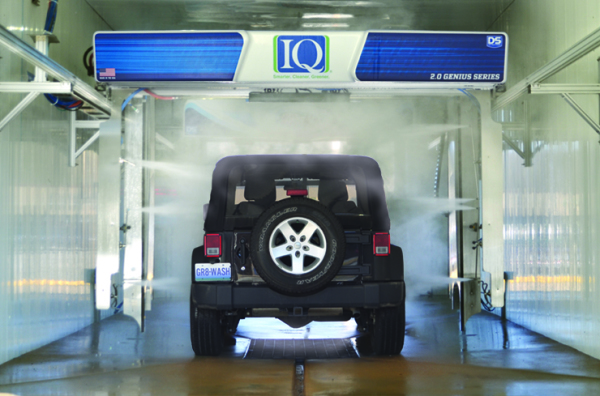 The new IQ 2.0 Touch Free Genius Series features intelligent, 3D profiling technology to provide a custom wash for every vehicle. The ability to completely scan and map out the vehicle’s size and shape is the heart of what makes the IQ Touch Free revolutionary and unique. This approach to cleaning enables the IQ Touch Free to identify important areas of the vehicle (windshield, front grill, back glass, etc.) 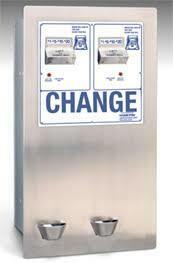 to customize each wash for optimal cleaning with minimum power, water and chemical consumption. 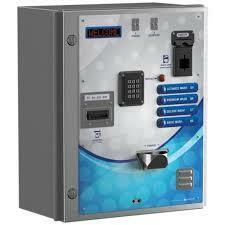 The IQ Touch Free is precisely controlled by proprietary software and electric driven motors with VFD’s. 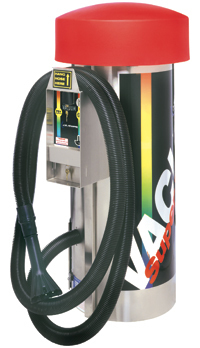 High impact turbo nozzles effectively clean the vehicle with less volume of water. 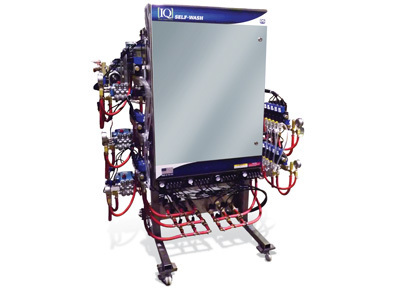 Packed with features and options to enhance customer appeal and increase your average dollar per car, the IQ Touch Free will cost less to operate and help you achieve a healthier bottom line. Introducing the new, powerful i5000! 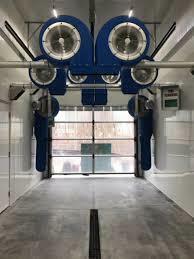 It is the latest innovation in a long history of industry firsts from D&S Car Wash Equipment Company. The i5000 is designed with proven technology adapted from the high performance “Quicksilver” and the industry workhorse, “D&S 5000”. The i5000 offers greater flexibility of recipes; it has fewer moving parts which result in less maintenance; and it is more energy efficient due to its lightweight construction. 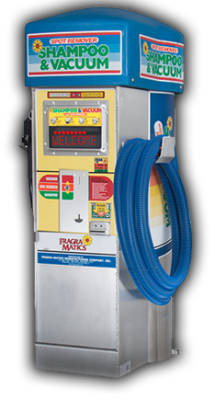 The IQ Self Wash is an extremely versatile 1 thru 6 bay self service pumping system (5 bay unit shown at right), providing all car wash functions from the same small, compact pumping system. 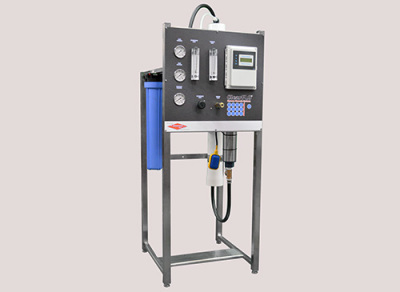 VFDs and direct driven motors control the pump speed used for each wash function, giving you complete control of water pressure and chemical consumption. 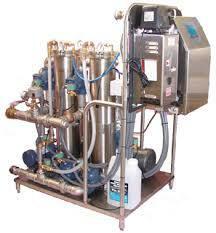 Operating pressures are adjustable between 0 and 1500 psi. 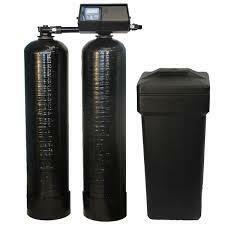 Chemicals are directly injected into the system so the need for storage and mixing tanks is eliminated. 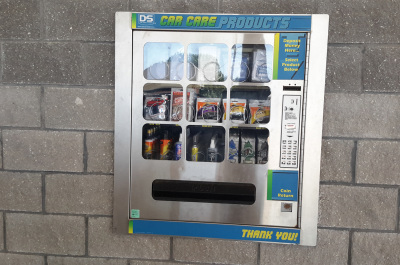 D&S Space Saver Self Serve Systems offer Pre-Soak, Tire & Engine Cleaning, Soap, Foam Brush, Rinse, and Wax from the same self contained, pre-plumbed, and pre-wired unit. 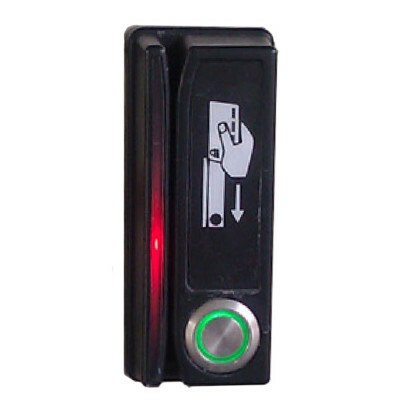 There’s nothing to add on – all functions are controlled by one system. And our compact design maximizes equipment room space. 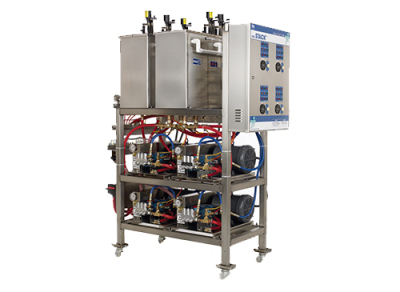 D&S Stack & Mini-Stack Units feature quality, stainless steel construction, the industry’s best pumps, 5 HP electric motors, cold water rinse, individual adjustments per bay, and they’re plumbed for weep.